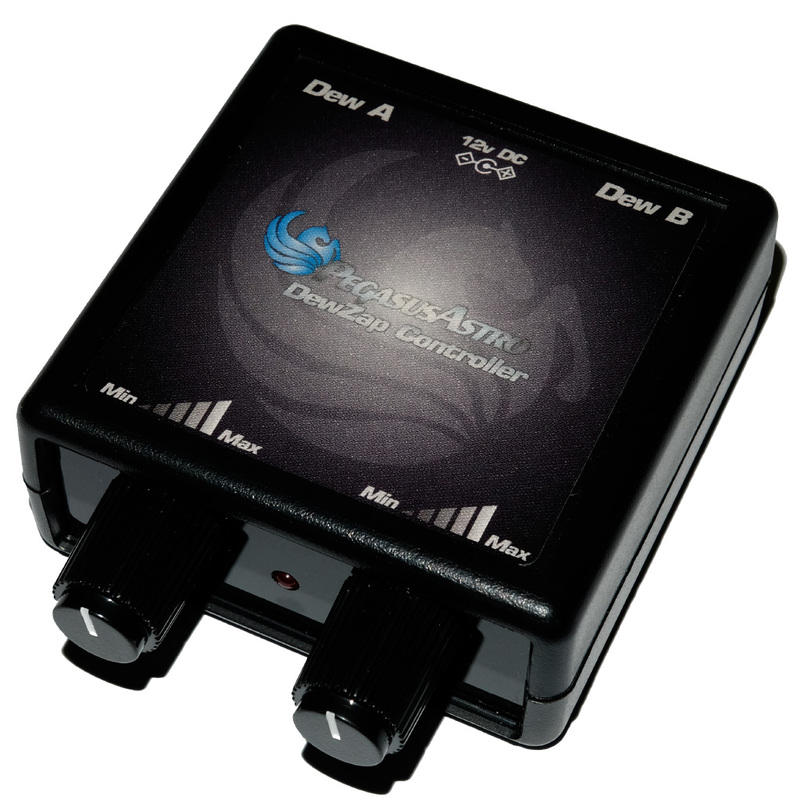 DewZap is our Dual Channel Dew Heater Controller. Simple to use, powerful and very compact is your best companion against the dew during long astro – nights. Two individual digital outputs for dew heating systems. DewZap has two individual digital RCA outputs. You can control its output by turning each knob on the top of the controller. Controller was built with modern digital electronics and fully supports duty cycle (PWM) control. Powerful mosfets on each output can provide easily 5Amps per channel. There are no voltage drops there. Device is protected from reverse polarity. A led indicator in front of the faceplate ensures controller is operational.